Submitted by lynn on Thursday, September 22, 2011 - 1:26pm. What we also like about this place is that they encourage good health behaviour by hosting yoga and boot camp classes and various talks. They don't just talk the talk... they walk the walk! Employees are very friendly here and try to help you pick out meals that you may enjoy. There are several sized meals to choose from based on the amount of calories you'd like to consume. Free range chicken enchiladas stuffed with corn, black beans, green onions, and tomato then topped with Mexican blend cheese and red enchilada sauce. We were lucky to sample one of their best sellers and it was our favorite dish of the bunch. This mix of ingredients was just so good we finished the food in a flash! I actually started dreaming about cooking up my own enchiladas, if only I knew how! 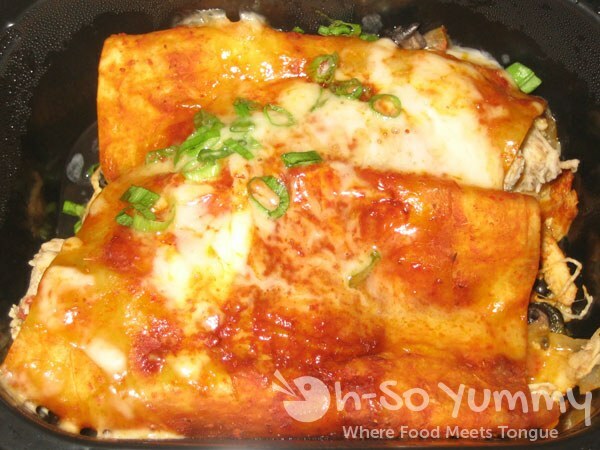 I love that these enchiladas are healthy compared to most of the ones at restaurants and it still tasted delicious! Spring squashes, onions, broccoli and our ground turkey tomato sauce layered between whole-wheat pasta noodle, ricotta, parmesan and mozzarella cheeses. 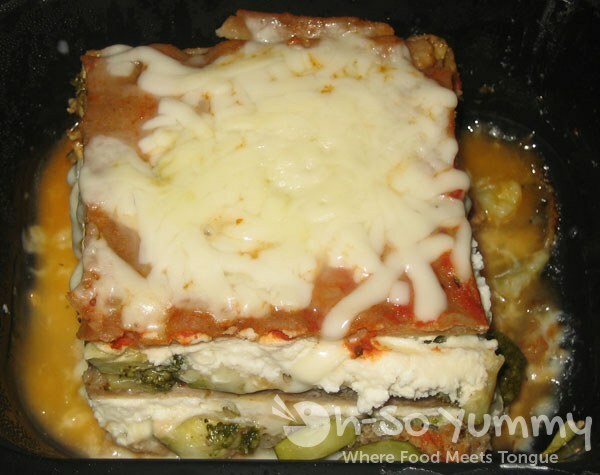 I've had some really fantastic veggie lasagnas before and this wasn't it. It definitely tasted healthy but I wasn't feeling the ricotta. I wanted more vegetable filling for this dish instead. Probably not a meal I would buy in the future. Turkey Burger with Sweet Potato Fries. Some may like the no carb option and eat the patty straight up but I love meat in a bun! I filled a whole wheat burger bun with the turkey and took a big bite! Oozy cheese and mushrooms came rushing to my tastebuds: I liked this classic taste but nothing beats a fresh made burger! Unfortunately, the fries fell flat when they are microwaved so nothing but plain and soggy potatoes for the side. Maybe some lucky people may have a toaster oven at work but not me! I threw them into the burger to help finish them off quicker. Overall, I love the concept of Fitzee foods. 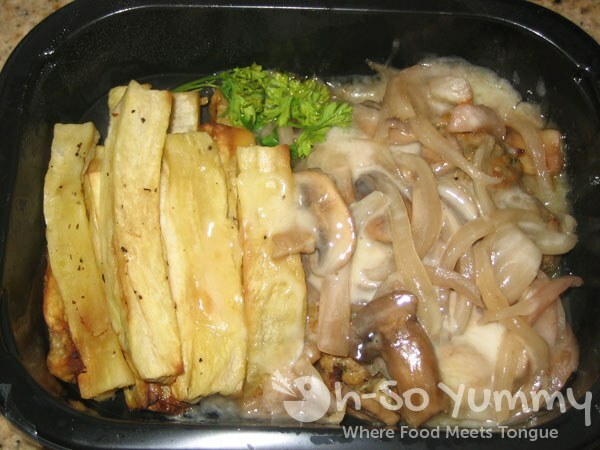 There are many dishes available there so there is much potential in finding that right dish for you. I wish I could compare it to the well known Trader Joe's, Whole Foods, or Fresh And Easy but I normally make my own homecooked meals. Give Fitzee's Foods a try and let me know how they stack up and what dishes worked for you!